Obituary for Jan Van Walsem | Grays Funeral Chapel LTD. 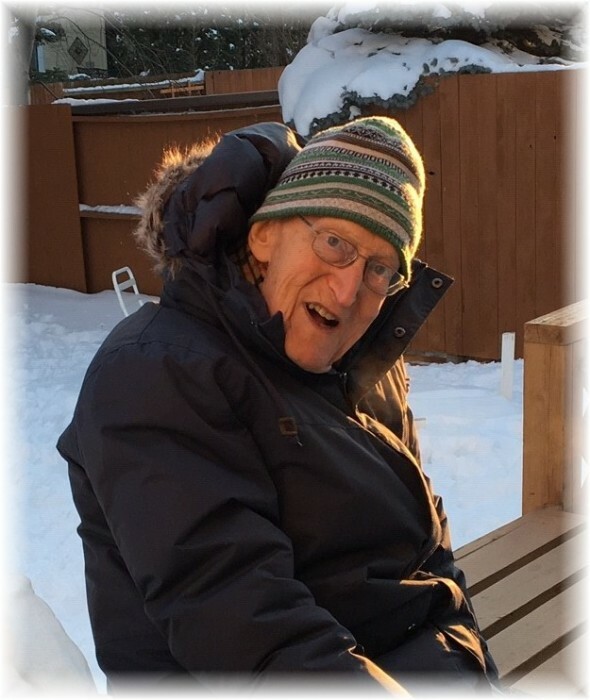 The family of Jan are saddened to report that he passed away at the age of 92 at Wascana Grace Hospice in Regina on the evening of January 29, 2019, with his two daughters at his side. Jan was predeceased by his parents, Johan van Walsem and Alberdina Coops, his brother, Hans, his sister, Hetty, his first wife Margreet, his sons, Martijn and Marcus (Lesley Eashappie). He is survived by his wife, Anneke Beker, his daughters, Carin van Walsem (Simon Woroniuk) and Ethel Struthers (Jamie), a grandson, Joel (Bethany), great-grandchildren, Maija, Aijdan, Tyra, Tyrell, Leander and Suzie and great, great granddaughter, Ava. Born in the Netherlands in early 1926, Jan moved with his family to Padung, Sumatra shortly thereafter. With the occupation of the Netherlands Indies, including Sumatra, imminent Jan was relocated with his mother and siblings to Arnhem, the Netherlands in about 1932. Jan studied at Leiden University at Leiden, the Netherlands where he earned a degree in theology. It was at university where he met his wife, Margreet. Jan and Margreet immigrated to Canada in 1955 where Jan was ordained by The United Church of Canada and served as clergy in several charges in Ontario, Alberta, and Saskatchewan. In the mid-1960s Jan left the stipendiary ministry and held several positions in the civil service, both provincially and federally. Upon his retirement from the federal civil service in 1989, Jan became re-ordained by the Anglican Church and served in ministry in both the Diocese of Saskatchewan and in the Diocese of Europe. Shortly after his retirement from the federal civil service, Jan relocated to the Arnhem area of the Netherlands where he lived with his second wife, Anneke. In the spring of 2017, when independent living had become difficult, Jan returned to Regina to live with his daughter Ethel and son-in-law Jamie. Since relocating to Regina, Jan has had the opportunity to spend time with his daughters, and many grandchildren. He has also had the opportunity to cultivate and renew many friendships, including those within his beloved faith community. A funeral service will be held on Saturday, February 2, 2019, at 3:00 PM at St. Mary The Virgin Anglican Church, 3337 15th Avenue (at Montague St.), Regina, Sk. with The Rev. Canon Claude Schroeder officiating. A time of Fellowship will be held at Grays Funeral Chapel, 575 – 28th St. W, Prince Albert, SK on February 4, 2019 from 11:00 a.m. – 1:00 p.m. Interment will take place at the South Hill Cemetery in Prince Albert, Sk. on Monday, February 4, 2019, at 1:00 PM. In lieu of flowers, donations may be made in Jan’s memory to UNICEF Canada, 2200 Yonge St. (Suite 1100) Toronto, On, M4S 2C6 or Primate’s World Relief & Development Fund, 80 Hayden St. Toronto, On. M4Y 3G2, or to the charity of choice. Online condolences may be left at www.paragonfuneralservices.com as well as www.grays.ca Funeral arrangements have been entrusted to Gray's Funeral Chapel, (306-922-4729).